Thinking of getting braces, but want something that’s clear and comfortable to wear? Ask our Mt Gravatt East family dentist about ClearCorrect. These removable aligners are an affordable option for adults who want straighter teeth without fixed brackets and wires. Each set of Clear Correct aligners fits over your teeth, but applies specific pressure points to guide your bite into a new shape. 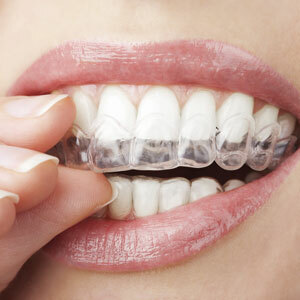 Wear your braces as directed, replacing them with the next set of aligners every two weeks. Gradually, you’ll see your teeth straighten right before your eyes. Because you’re able to bring several sets of ClearCorrect aligners home, you can progress treatment on your own. Simply schedule a follow-up visit every 6-8 weeks to pick up your new trays and ensure everything is moving along properly. ClearCorrect is more affordable than most people expect. Your total cost will depend on the extent of tooth movement necessary. We can provide you with a detailed estimate at the time of your consultation. Can I Eat in My Braces? Remove your ClearCorrect aligners at each meal. Chewing with them could cause the aligners to break or warp. Although you can drink with the braces in, you should rinse your mouth and aligners out thoroughly afterward. How Long Should I Wear My Aligners Each Day? Wear ClearCorrect at least 22 hours per day. This gives you enough time to remove them during meals, brushing and flossing. Are you a candidate for ClearCorrect? Contact us today to find out!